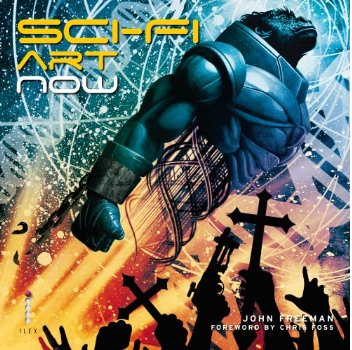 Sci-Fi Art Now, published by The Ilex Press in the UK and Collins Design in the US. It's a rather ravishing volume stuffed full of dazzling science fiction art, from book covers to video games design to comics work, all lovingly compiled by the legend that is John Freeman. John's set up a great blog to accompany the book, which boasts exclusive interviews with some of the artists featured in Sci-Fi Art Now, plus links to their websites, reviews, inspirations behind the art, and loads more. Go have a look. Tips, links and suggestions: what are you reading this week?